The Heights Hotel offers a comfortable lounge and two bars. 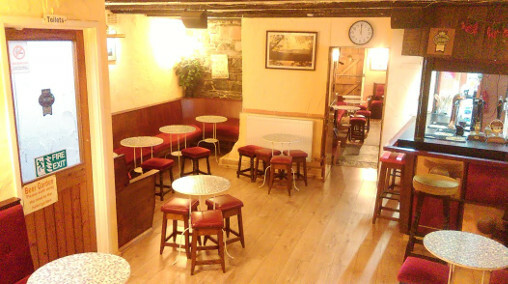 The bar, with its welcoming fire, was converted from the original 17th century Cumbrian cottage. The main section of the traditional lakeland stone house was added in Victorian times. 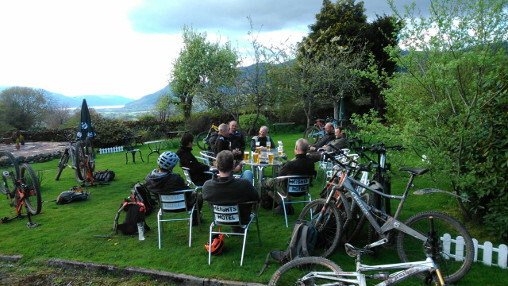 Both the bar and lounge are great places to relax after a hard days walking,climbing, cycling, touring, sightseeing or what ever the days activity brings. (The view from Walla Crag). 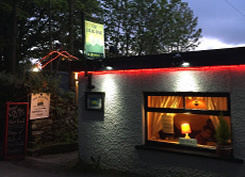 As well as being at the heart of an area of outstanding natural beauty within the Lake District National Park, with walks in almost every direction from the hotel, there are many other attractions in the local area. For example, red squirrels regularly visit our garden and Roe Deer are seen in the local woods, as well as Peregrine falcons, Buzzards and Ravens in the local area, Ospreys nest each year at Bassenthwaite and a Golden Eagle at Haweswater. Further afield, St Bees headland is famous for its breeding puffins and guillemots. Keswick itself, is a bustling market town and boasts a wide range of shops. There is an excellent selection of plays and concerts at Keswick's modern 'Theatre by the Lake'. There is also an excellent bowls club and several fine golf courses in the area. We have many groups of families and friends (for example: walkers, painters, golfers, bowlers - as well as those who just want to relax) who return to The Heights year after year. ...to provide our customers with the highest standards of hospitality and to make your stay relaxed and memorable.